Gimme raid, said the fake CBI officers who in a daredevil swoop-down on a well-known jewellery outlet in Mumbai in 1983, escaped with a loot worth lakhs. If done today it would have been a heist worth crores. But that’s the devilish beauty of Neeraj Pandey’s second feature film. Though set in a world where lakhs were a large fortune, he gives us a caper-thriller worth crores. The period detailing of the 1980s-the cars, hotel lobbies, clothes, hairstyle and most importantly, the attitude to wealth acquisition(scams were unknown back then, scandals were as far as the financials over-reachers went)-they all add a lustre of underscored believability to the proceedings. Morality is a prime casualty in the tale. And if crime should not be allowed to pay in our movies then this one doesn’t qualify for a pat on the back from the moralists and purists, as the con-persons walk away from the scene of their outrageous crime richer and, yes, no wiser. They are coming back. Get this. There are two sets of CBI officers on duty in this deviously-plotted tale of daredevilry and drama in real time. The real and the fake teams are helmed by Akshay Kumar and Manoj Bajpai. Both put in impressively understated performances. But since Akshay Kumar is a bigger star than Bajpai, he gets a bonus romantic track with the unimpressive Kajal Aggarwal. It’s like listening to a soft ballad at a New Year’s party minutes before midnight. It is sad to see M M Kreem’s elegant melodies (Mujh mein tu is specially evocative) wasted in speed-breaking romantic interludes which add nothing to the plot. The high energy-level in the plot-how high, just check out Manoj Bajpai’s introductory chase sequence across Connaught Place, it leaves you panting for breath- comes entirely from the way the quartet in the core group plans its various pseudo-CBI raids across the country from Kolkata to Mumbai, bringing to the plot a meticulousness that doesn’t interfere with the entertainment quotient. After a point you don’t care about the headlines. It all about the deadlines. The goings-on resonate in rapid-fire speed, imparting the kind of urgency to the proceedings that Oceans 11 would have achieved if it wasn’t a caper devoid of a moral centre, or Race 2 were it not devoid of a soul. Special 26 achieves a rare synthesis of real-life credibility and cinematic flamboyance. Pandey’s perception of cinematic licence is liberating. The real-life incident involving the CBI scam which shook the nation and embarrassed the Rajiv Gandhi regime, is given a sensuous spin that culminates in a completely unexpected and spectacular culmination. Cinema, Pandey tells us, is not only about being true to life. It is also about making life seem more engaging than it actually is. This is where the director’s ability to punctuate socio-political anomalies with edge-of-the-seat excitement comes into full play. The mix of fact and fiction was earlier applied by Pandey to the theme of terrorism and the wounded individual in A Wednesday. No character who goes so audaciously against the law in Special 26 seems particularly wounded or terrorized. You suspect they are all in it for fun. The characters are not in search of a moral payoff and we are not eager to find it for them. Pandey weaves vivid vignettes into the main heist-format from each of the four protagonist’s personal lives. One of them played with compelling gusto by Kishore Kadam washes his wife’s clothes at home when he is not away carrying out fake CBI raids with his comrades. Another, played equally effectively by Rajesh Verma lives in a sprawling joint family where everyone is caught sleeping while he sneaks out to do his clandestine thing with his pals. These moments define the individual and the crime. Anupam Kher who has a sizeable part is Akshay Kumar’s right-hand man. A nondescript family man with an unending brood of children Anupam is just your regular aging guy on the verge of retirement who wants to stop life from going by. Anupam’s Sharmaji could’ve been the reluctant terrorist Naseeruddin Shah in Pandey’s A Wednesday. Thankfully Sharmaji decided to protest against his inconspicuous life with some serious con-jobs and not something more…er, explosive. In one sequence where real CBI officer Manoj Bajpai grills him a hotel room Anupam nails the sequence’s parodic poignancy to give the kind of performance that is flashed on video monitors to announce awards nominations. Another reined-in but riveting performance comes from Jimmy Sheirgil as a conflicted cop who must redeem himself before the final reel. And what a resounding redemption! Jimmy who has lately shaped into one of our finer actors imparts a secret life to his duty-bound cop’s role without being given leisurely space to do so. Manoj Bajpai is in many ways the film’s main protagonist. In fact he gets the kind of breathtaking breathless introductory chase sequence that Akshay Kumar would normally secure for himself. Curiously Bajpai underplays his part in a film where the performances are purposely italicized. In just a couple of shots with his screen wife we get a full measure of Bajpai’s idealistic character. “Would I get that raise or should I start accepting bribes?” Manoj asks his senior with a poker face. Luckily we’re spared the senior’s response. Whether it’s the lucid and long-limbed writing or the performances or maybe a yummy yoking of both, one doesn’t know. But the narrative’s over-all mood is one of urgent crises-point reached with minimum fuss and optimum energy. Pandey adds considerably to his narrative’s credible climate by shooting on real locations, wherever the pseudo-raids take our ‘hero’and his three unlikely associates. Akshay Kumar as the mainstay of the governmental masquerade moves away from his by-now patent and predictable comic moves to deliver a surprisingly subtle unassuming performance. His Ajay Singh is a bit of a loner, a bit of an enigma. The only character he bonds with is Sharmaji. Kher and Akshay bring a very understated father-son feeling to their bonding. Feelings are frequently hammered into place in the no-nonsense plot by a background score by Sanjoy Chowdhary which goes way over the top, with all punctuation marks done in italics. It was the same in Pandey’s A Wednesday where the characters’ silences were loudly interpreted and interrupted by the background score. Strangely the film makes no use of the songs and music of the 1980s to evoke periodicity. Maybe Pandey didn’t want to take the easy way out. 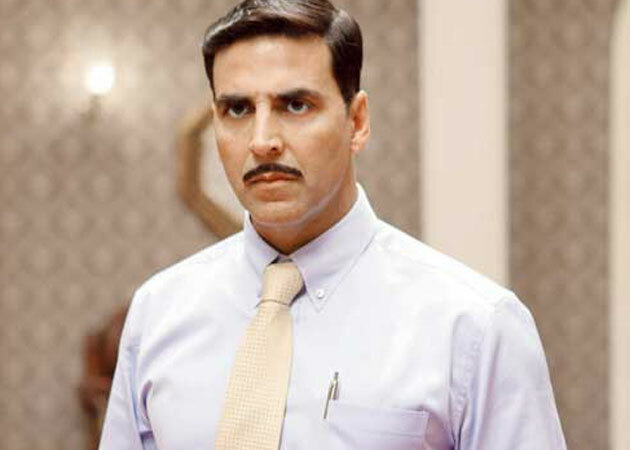 Special 26 is not a film that favours soft creative options. It takes audacious the heist-story audaciously through a complicated maze of morality without getting snarled in sermons and messages. This is a film that engages you while letting the protagonists cross mischievously from one side of the line of morality to the other. Special mention in this special caper must be made of the editing by Sree Narayan Singh which allows every character(even the small and cute cop’s role played by Divya Dutta) to breathe as individuals, and the unassuming but illuminating cinematography by Bobby Singh which takes us to the cities of the raid without pausing to define the location. But then this film wouldn’t let him die.